Welcome to the Glasgow Rangers Football Shirts department here at Soccer Box. This is your number one stop shop to find the latest Rangers shirts and accessories, available for online orders and international deliveries direct to your door. 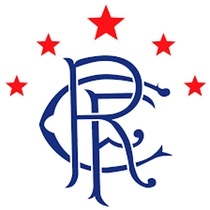 Glasgow Rangers is a well-known football club around the world, and is one of the best teams in Scotland. Prior to financial difficulties the club had continuously been in the top-flight of Scottish football. Following liquidation, in 2012, the club had to re-submit to the football association and had to rejoin the league system in the 4th tier. From here they had to work their way back to strength, and in 2016 finally gained re-admittance to the Scottish Premiership. With a strong and loyal following team accessories have been proudly displayed throughout Glasgow and Scotland throughout this difficult period. Find Accessories for Glasgow Rangers here today! However, their re-emergence in the top-flight is sure to reignite the rivalry between Rangers and Celtic, and bring fans out in the droves to cheer on the once mighty Glasgow Rangers. You can join the throngs by shopping for football souvenirs and accessories here at Soccer Box. The Glasgow Rangers accessories catalogue includes items such as the iconic football supporter’s scarf. Every football fan needs a team scarf and you can get yours here. But why not take a look at other novelty souvenirs that we have available including an alarm and wall clock, shoe bag, keyring or cereal bowl. In addition to football accessories check out our Glasgow Rangers shirts pages where you can order the latest team jerseys. But if it is Glasgow Rangers football accessories you are looking for you are in the right place. Browse the products available and place your order online using our secure shopping cart. We offer fast UK and worldwide shipping options, and should you need to speak to us contact us by phone or email and one of our dedicated customer service team will be happy to assist you.